SPRING HILL, Fla. — A Hernando County commissioner looking to drum up a little investment in local business has instead found himself digging out of a major FBI investigation. 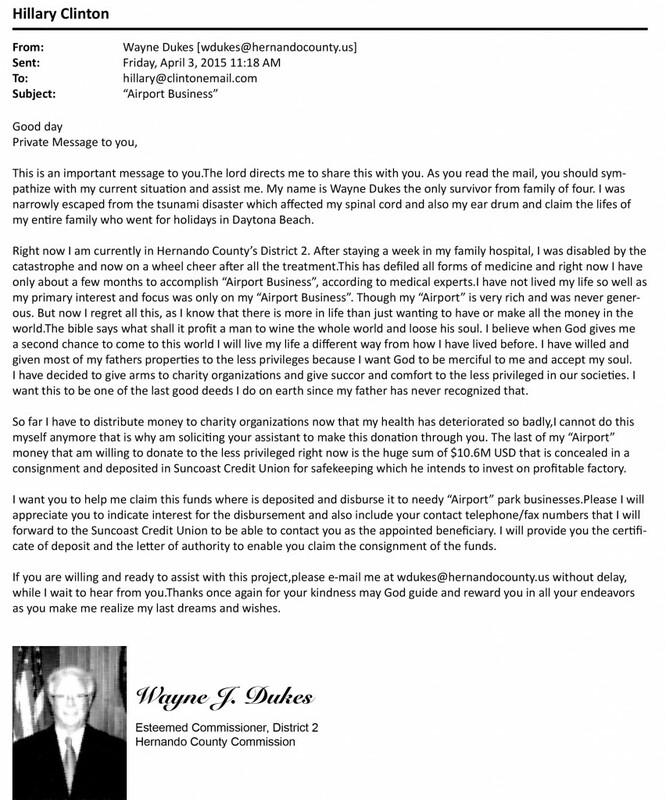 District 2 commissioner Wayne Dukes sent the former secretary of state nearly a dozen emails over several months in 2015 looking for support for what he called “Airport Business,” according to records released by the FBI following an investigation into Democratic presidential nominee Hillary Clinton’s private email servers. 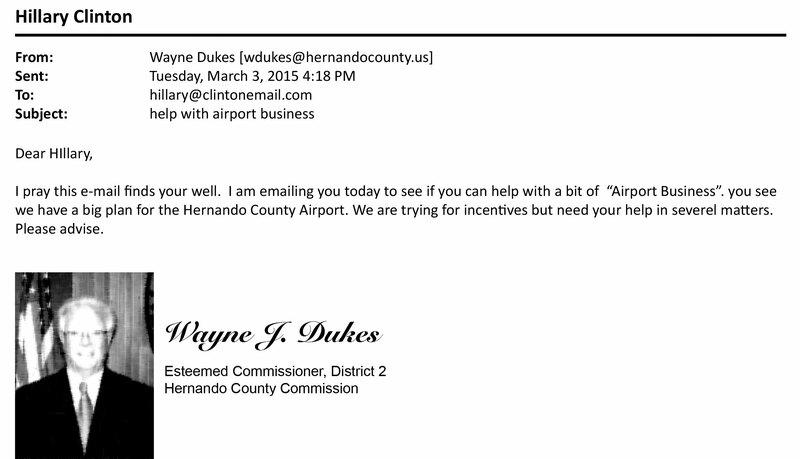 Dukes’ emails begin simply enough with a request to communicate with Clinton regarding airport business. 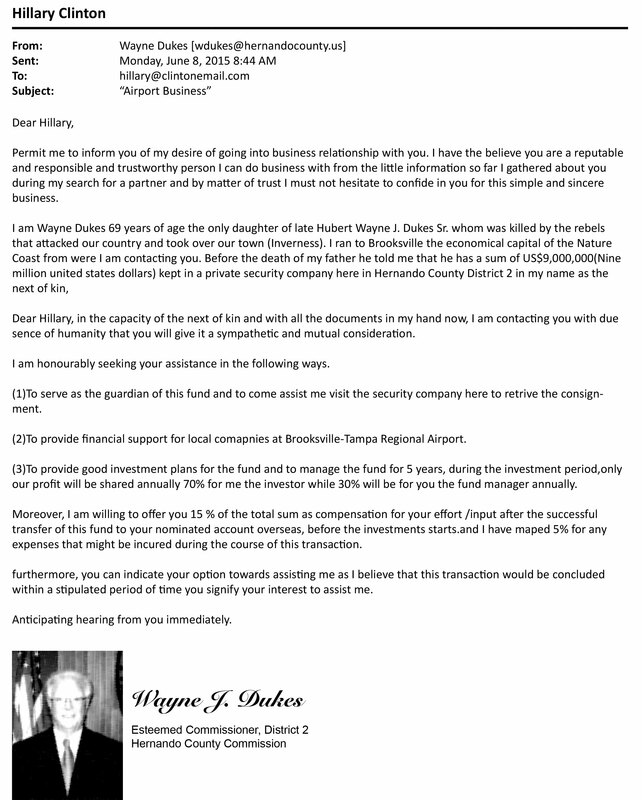 The correspondence seems to have quelled for several weeks before Dukes wrote a lengthy message again requesting help with “Airport Business,” this time asking Clinton to help funnel money through an account. Receiving no response, Dukes’ messages grew shorter and again cryptic. 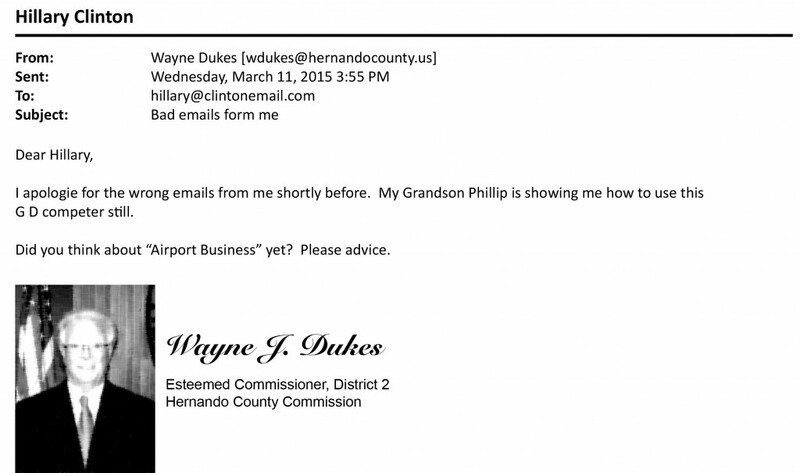 Finally, Dukes once more pleads with Clinton to help divert funds into his “Airport Business” account. Previous story 15 Spring Hill life hacks to facilitate your indolence!